Here at the Fort we love sports, March Madness and scary movies. Play along with us and find out what is the scariest movie of all time, voted on by you, my rabid readers! 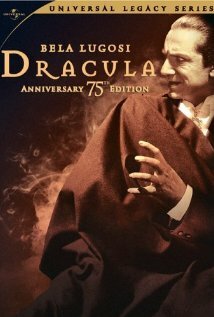 After a harrowing ride through the Carpathian mountains in eastern Europe, Renfield enters castle Dracula to finalize the transferral of Carfax Abbey in London to Count Dracula, who is in actuality a vampire. Renfield is drugged by the eerily hypnotic count, and turned into one of his thralls, protecting him during his sea voyage to London. 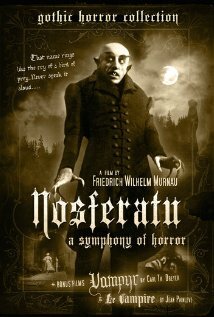 After sucking the blood and turning the young Lucy Weston into a vampire, Dracula turns his attention to her friend Mina Seward, daughter of Dr. Seward who then calls in a specialist, Dr. Van Helsing, to diagnose the sudden deterioration of Mina’s health. Van Helsing, realizing that Dracula is indeed a vampire, tries to prepare Mina’s fiance, John Harker, and Dr. Seward for what is to come and the measures that will have to be taken to prevent Mina from becoming one of the undead.